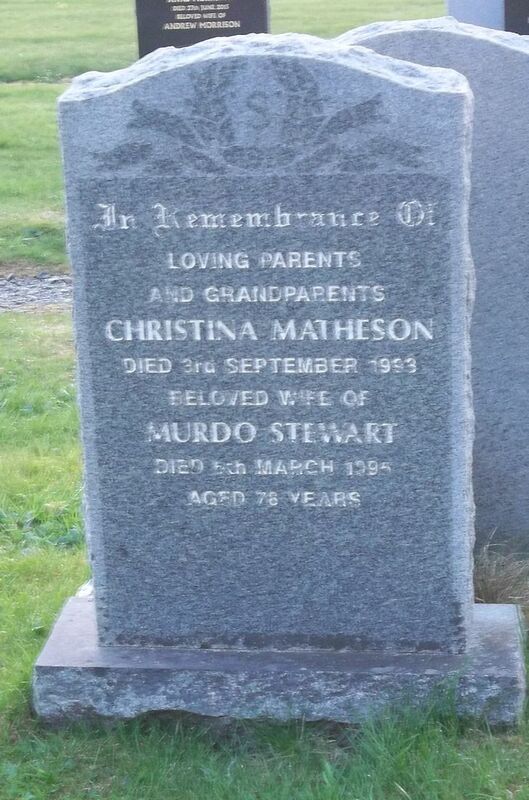 Skye Gravestones | Christina (Matheson) & Murdo (Stewart. Christina (Matheson) & Murdo (Stewart. In remembrance of/loving parents/and grandparents/CHRISTINA MATHESON/died 3rd September 1993/beloved wife of/MURDO STEWART/died 5th March 1995/aged 78 years.